To maximize your exposure and capture the attention of HRPA’s membership, take advantage of the association’s most lucrative marketing opportunity: the weekly HRPA e-newsletters. 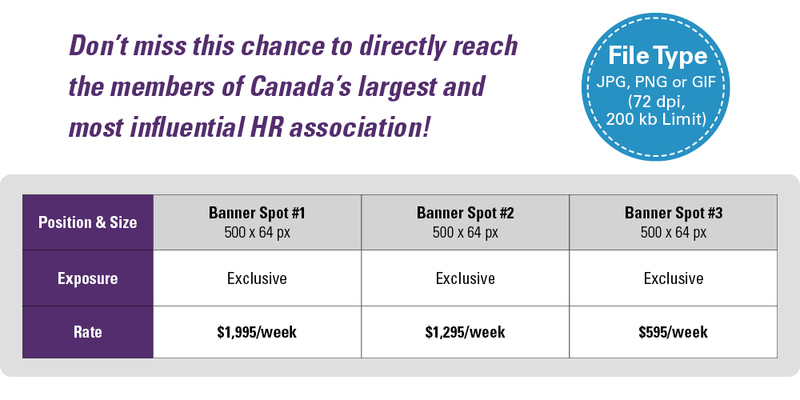 More than 26,500 HRPA members will receive an e-newsletter featuring your company’s banner advertising twice every week, totalling up to 53,000+ potential views of your brand aligned with HRPA. HRPA’s official e-newsletters are sent on Tuesdays and Thursdays to the association’s full email list. 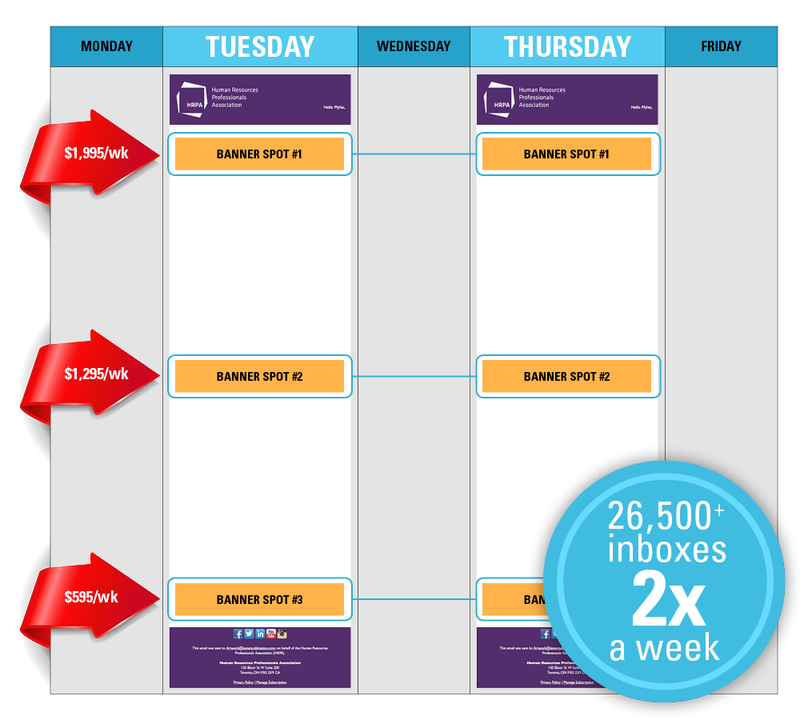 e-Newsletter advertising is purchased in one-week blocks, which include both e-newsletters mailed out that week. Space is limited: Only THREE advertisers will be allotted space each week. These exclusive positions are sold on a first-come, first-served basis.